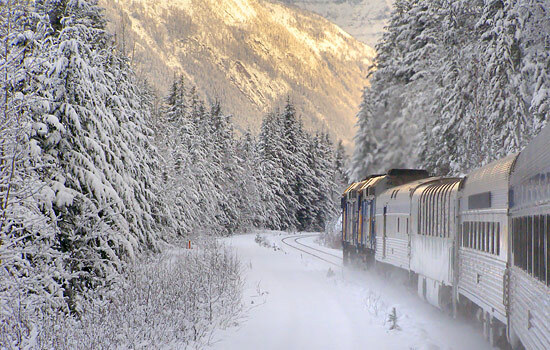 On this Canada vacation by train, you’ll be whisked to the heart of the frozen Canadian Rocky mountains. 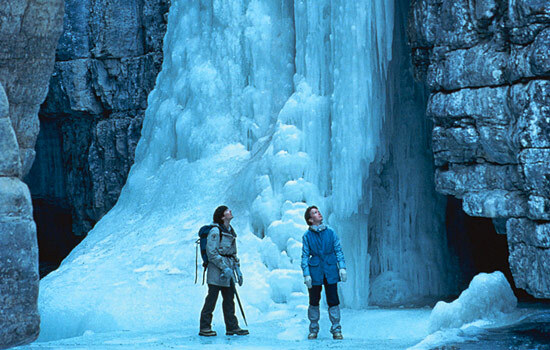 Enjoy authentic Canadian winter activities, like snowshoeing or ice walks into mysterious canyons, to fill your days. In the evening cozy up next to a crackling fire in wonderful mountain accommodations, as the snow falls outside. Jasper's Sawridge Inn is a favourite among travellers looking for understated luxury at affordable prices. Unwind in newly renovated rooms with marble bathrooms and take a dip in the large indoor pool. 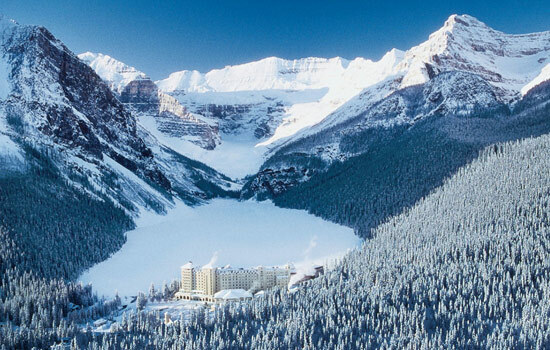 The 5 star Fairmont Chateau Lake Louise is undoubtedly a beautiful and impressive hotel. Its amazing location overlooking beautiful Lake Louise and the distant mountains can not be compared. There are a variety of restaurant types, so you can do casual or fine dining as you choose. Strolling around the lake, renting a canoe, riding horses, or hiking up to the tea house are all great summer activities. In winter choose from snow shoeing, skating, skiing or taking a sleigh ride around the lake. Overnight in your private cabin. Welcome the morning as you head south along the Icefields Parkway today. You’re traveling along one of the most scenic highways in the world, so wipe the sleep from your eyes quickly! This scenery is just a warm up for the sight that greets you in Lake Louise – glaciers, ice castles, and frozen waters, this is truly a magical winter wonderland. 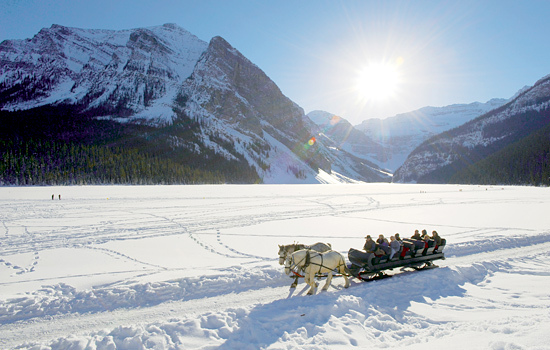 A winter sleigh ride by horse drawn carriage is the perfect way to explore Lake Louise. Blankets will keep you warm as you travel slowly to the end of the lake and relive the experience of the original visitors to Lake Louise. 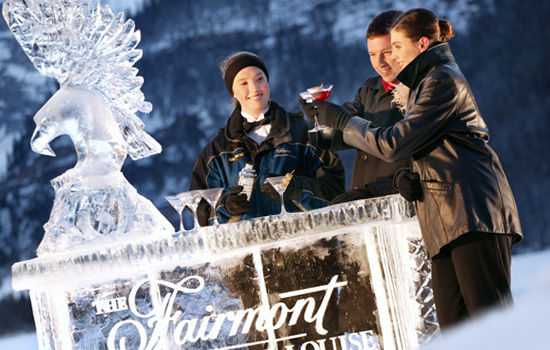 After an afternoon of exploring the winter playground at Lake Louise warm yourself with an indulgent meal at the Fairmont Chateau Lake Louise. Surrounded by spectacular lake views and attentive service, enjoy a delicious 3-course meal. 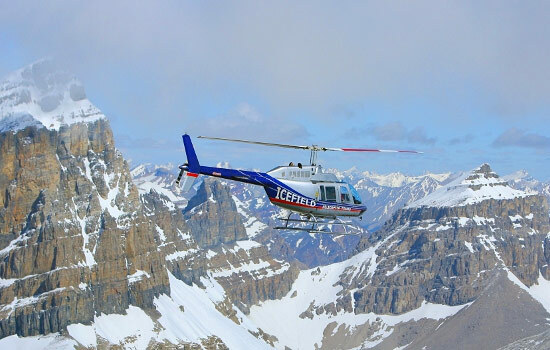 Travel back up the Icefields parkway to take part in one of the most remarkable and awe-inspiring helicopter experiences of your life. 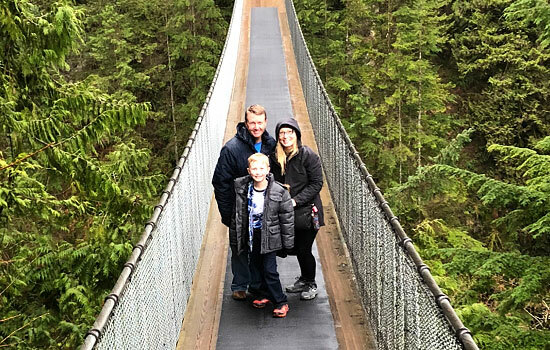 Deep in the heart of the Canadian Rockies take off for incredible views of glaciers, frozen lakes and the natural beauty of the Canadian Rocky Mountains. Helicopter flight time is 12 minutes with the option to upgrade to longer flight times. 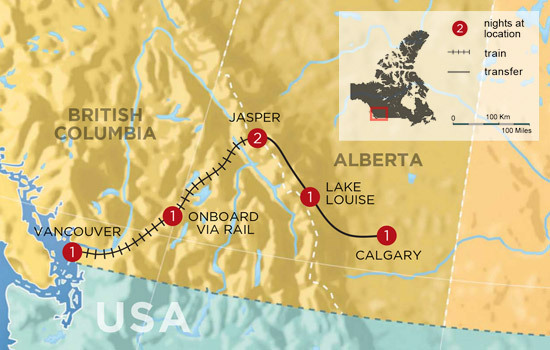 Transportation from Lake Louise is included and takes approx. 1.5 hours each way along the scenic icefields parkway. Travel a full 16 km, or 10 miles, from Banff National Park to Yoho National Park through the Kicking Horse Pass at the Continental Divide. Plenty of time to take photos while travelling through striking mountain landscapes. On the return journey your guide will teach you the basics to mush your team home. Insider tip: Ask your Vacation Advisor about extending your helicopter flight length to a 20, 30, or 55 minute tour. Or for those with an adventurous spirit, ask about a once in a lifetime opportunity to add a heli-snowshoe experience to your itinerary. 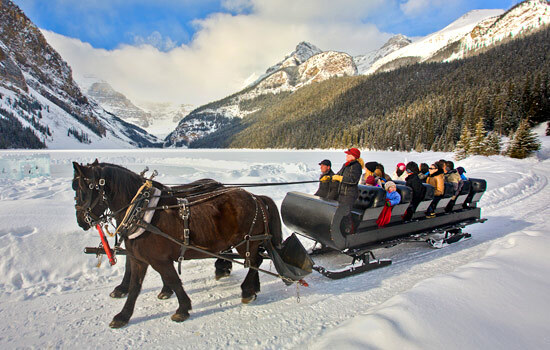 Later this afternoon, take a scenic transfer to Calgary, Alberta’s largest city for the final night of your Canadian Rockies winter vacation. Much too soon you leave the fresh air and colorful sights of Canada, as your Canadian train vacation comes to an end. 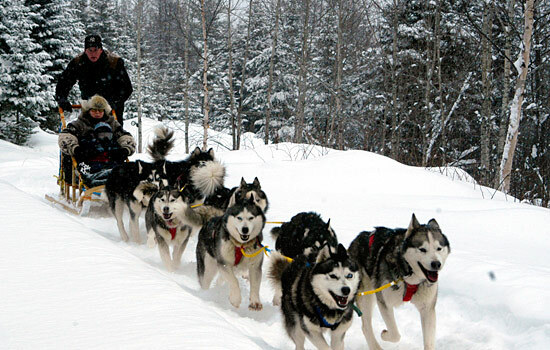 A longer, full day dog sledding experience. A Northern Lights experience in the Yukon. 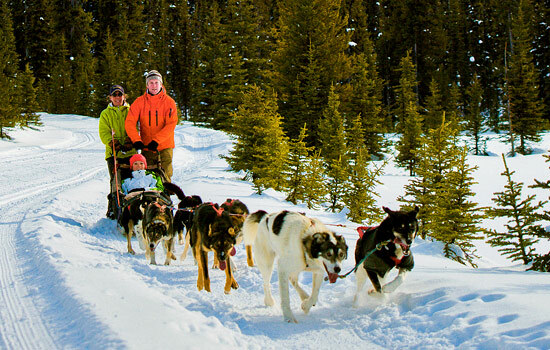 • Add on a longer, full day dog sledding experience in Jasper. 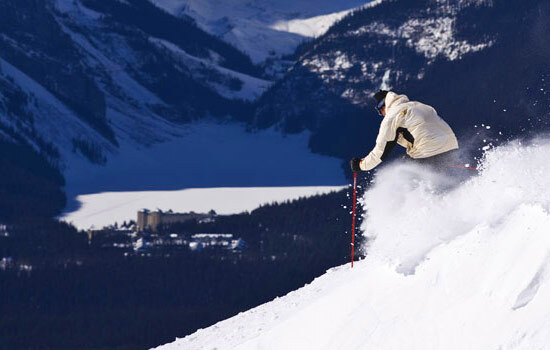 • Optional winter activities, including skiing (downhill and cross-country), spa treatments or skating. 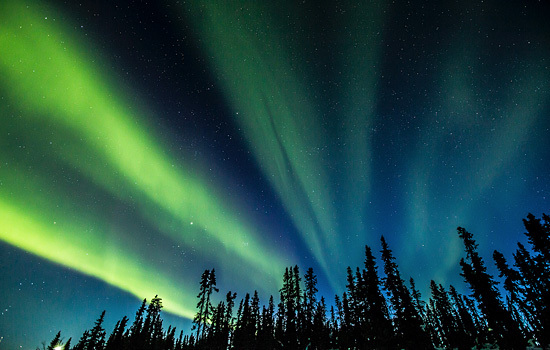 • Add on a multi-day Northern Lights experience in the Yukon. 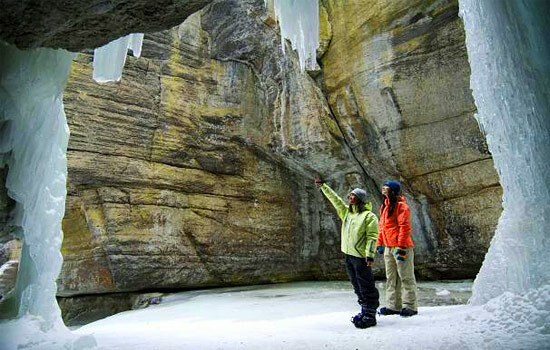 • Extend your helicopter tour over the Icefields by adding on stop for snowshoeing or a stop at a frozen lake.